Caregiving for a senior with dementia can be very difficult at times, but also rewarding. Knowing that you’re doing your best to help an individual suffering from dementia is highly reassuring for their family and all those who care for them. While a great many activities can prove exhausting for yourself and the senior you care for, you still know that seeing them through will help your patient in the long run. One activity that can be extremely difficult for seniors with dementia is exercising. Creating exercises and a daily routine that your loved one can work through is challenging. 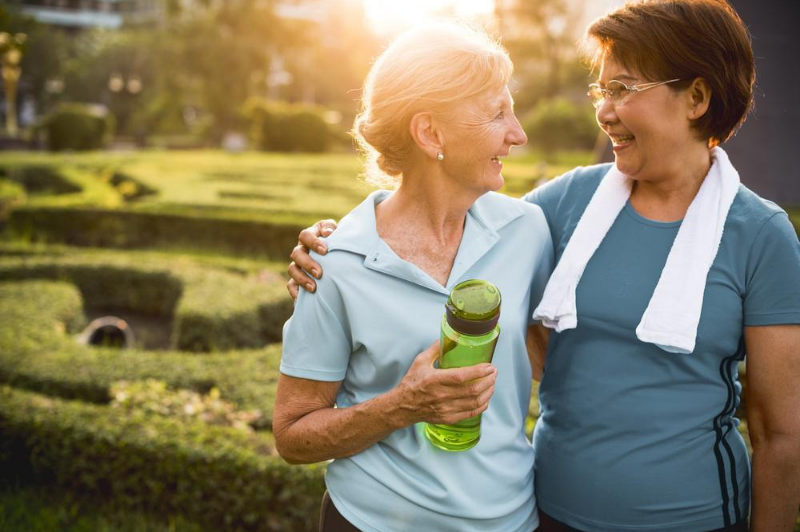 Most of the time, your loved one may not want to act on exercising because they either don’t care, aren’t up to the exercise, or don’t remember that it’s important for them. Creating and sticking to an exercise routine is important, no matter if a senior has dementia or not. If you continue to introduce the routine each day it will get easier over time and hopefully will be a more natural part of their schedule. Remember, when introducing a new exercise routine, you need to keep consistent on the days and times that the senior needs to exercise. This will help smooth out the process of introducing a new activity in their daily routine. Also, keep in mind the type of exercises you choose for their workout. Try starting off with something easy and simple like chair exercises or chair yoga as these will help with balance, stability, strength, and overall mobility. These types of exercises can also improve proper posture and can be done in the comfort of the senior’s home or wherever they are at the time. After you’ve created their optimal exercise program and have stuck to the routine for a while, take the time to evaluate how their performance compares to when you first started. Are they improving with their overall attitude toward exercising? Do they show signs of increased mobility, flexibility, strength, energy, or endurance? Have they complained recently about their exercising? Keep these in mind as you continue to lead them to a better, healthier lifestyle as they age. Remember, no matter how difficult it may seem to add or change a routine in the life of a senior with dementia, keep trying and don’t give up or lose hope. These things take time and patience. Chair exercise or chair yoga is a great nonthreatening way to sneak in a bit of exercise. Thanks for the advice.